Jon Setzen designed and coded his first website in 1995 and over the years has worked with everyone from Alicia Keys to Nikon to MoMA. For many years he also designed hundreds of rock posters, which were exhibited in Los Angeles, Brooklyn, Tokyo and beyond. For the past 15 years, he has worked as a Creative and UX Director leading design teams in a variety of rebranding efforts largely focused on improving interactive experiences for people around the globe. In addition to his day job, as Creative Director of Bluebeam, Inc. in Pasadena, he does select freelance work for non-profits. 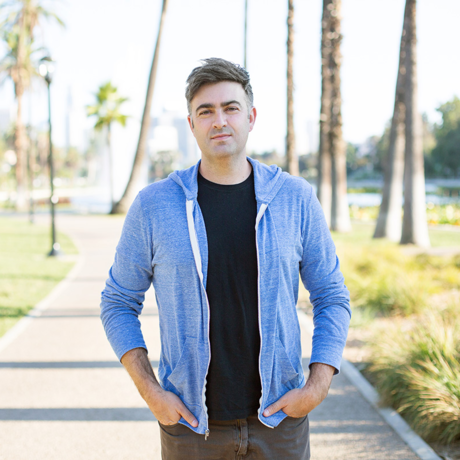 Professionally, he’s most proud of having started and run the Los Angeles chapter of CreativeMornings for six years. He lives in Glendale with his wife and two sons.